Consumers are demanding smarter packaging – here’s why! 19 Jul Consumers are demanding smarter packaging – here’s why! Now we know that we’re self-styled packaging geeks – don’t hold it against us, we just can’t get enough of the paper stuff. On the plus side though, it means that we can bring you a weekly digest of what’s going on the exciting world of foodstuff containers without you having to trawl through a gazillion articles. This time round, we bring you big changes afoot so sit up and pay attention -the future is nigh! Consumers these days demand more. They want bigger, brighter, better, cheaper, more flexible, high quality – you name it, they want it. And it doesn’t stop at the consumable product either, they’re looking for more from the packaging their purchase arrives in too. We’ve been having a peek at the Innventia Packaging 2020 report to see how the future might pan out and we can tell you that it looks challenging and competitive. According to the clever clogs at Innventia, a clear majority of their respondents (hailing from the US, Sweden and India) foresee problems with today’s society’s consumption of packaging. This is resulting in a higher demand for eco-friendly products that can be recycled or reused afterwards. In Sweden, a whopping 63% of those surveyed said they’d like to be able to scan products to find out more about their origin and packaging type. Now we’re not claiming to be trailblazers (although we like to think we are) but we pride ourselves on our transparency when it comes to you knowing exactly what our packaging is made of and how it can work for you in terms of keeping that curry sauce where it needs to be, but also as a marketing add-on for your business. The Innventia report shows that consumers from all three countries surveyed had a desire for tighter environmental legislation; order from ID Packaging and you can be ahead of the pack – excuse the pun, or don’t, we’re proud of it. All of our paper products are made of SFI-certified paper and if you like, you can incorporate this information or an SFI logo into your design to let your customers know you’re eco-friendly as can be. Speaking of design, that thing we’ve been banging on about since forever has been backed up by the 2020 report – at last! Consumers are now looking for more than a plain cardboard box when it comes to what their product is packaged in. 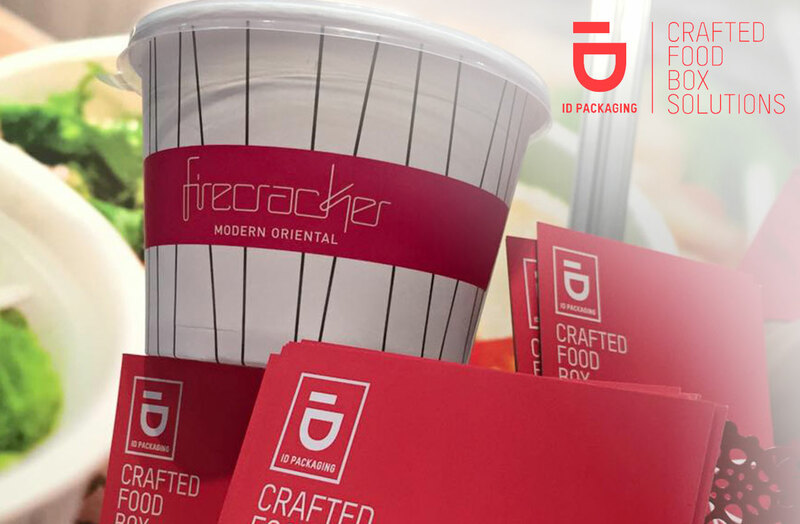 Extending your branding to your containers is easy with ID Packaging, with all orders able to be custom printed meaning people can start associating your delicious dishes with your brand colours or design. The future of packaging is certainly design and environmentally friendly-focused so make sure your business is hot on the heels of change and give us a call to see how we can help keep your food containers on trend and up to date.